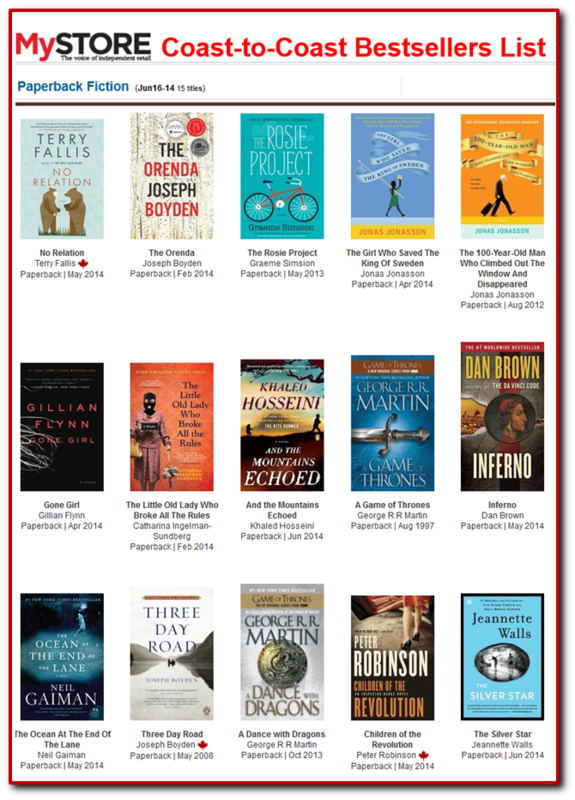 In the first few weeks of its life, it’s been very gratifying to see Poles Apart grace a number of bestsellers lists in various positions. I just wanted to note them here for posterity’s sake, as this blog is a kind of digital scrapbook of my writing life. 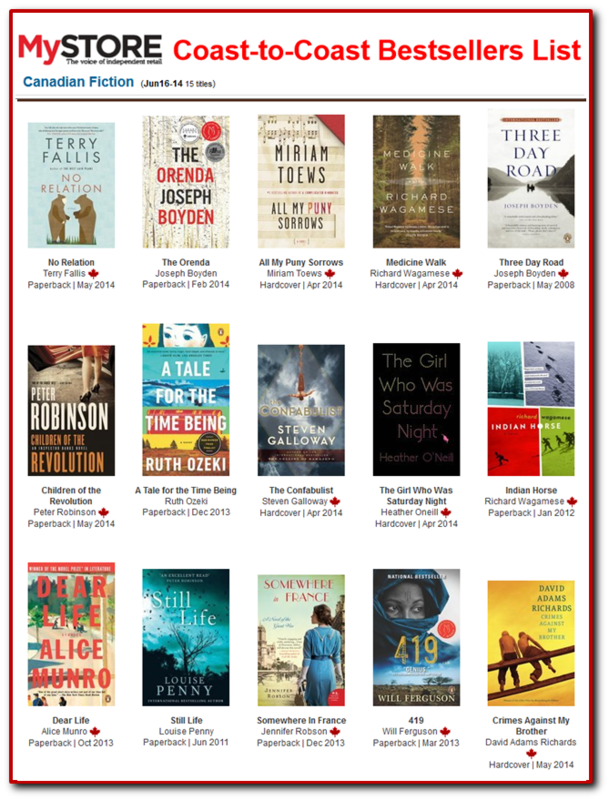 Here’s hoping Poles Apart hangs on for a few more weeks before it inevitably slips off these ever-changing bestsellers lists. 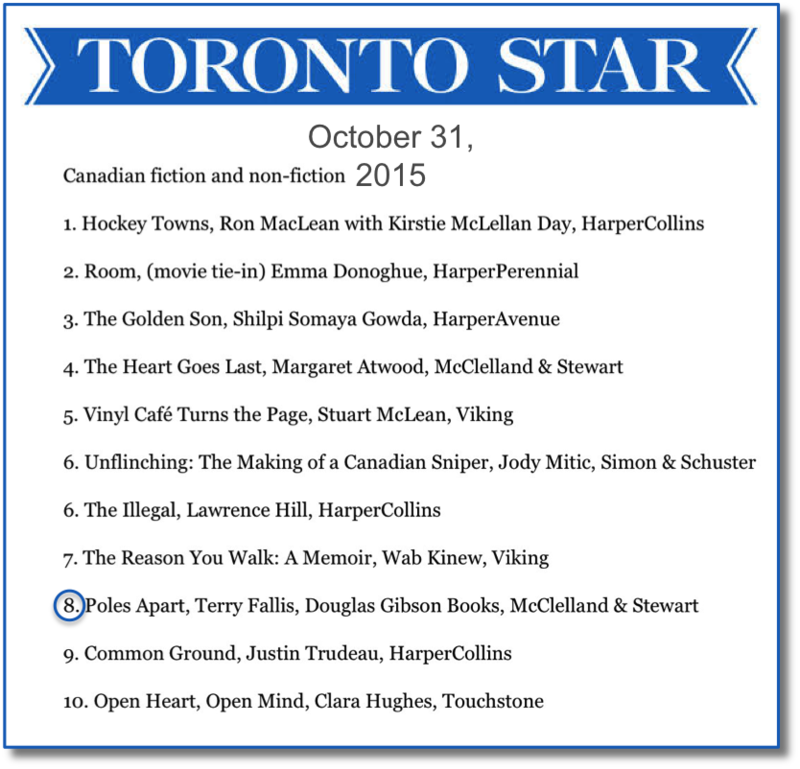 I’m grateful to the many readers who have bought the book and helped propel it into these rankings. 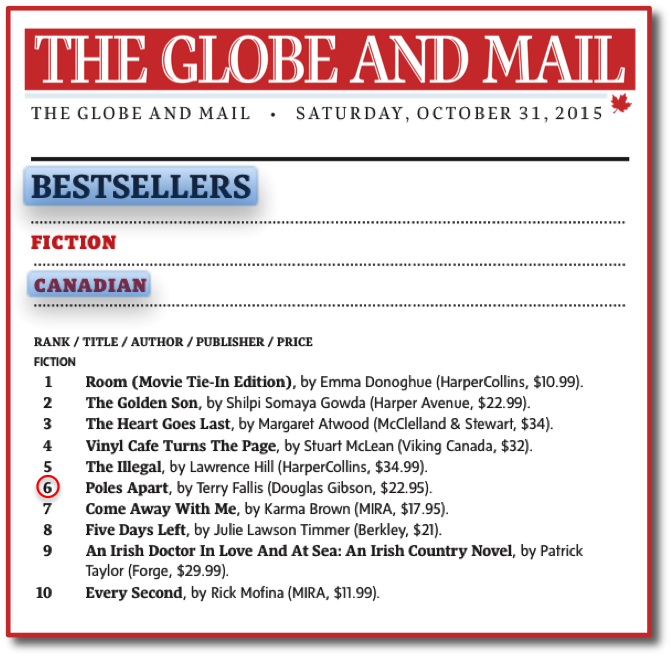 I think this may be the first time a novel of mine has occupied the top spot on the bestsellers list. I doubt it will happen often, so I’ve commemorated it here for posterity’s sake. 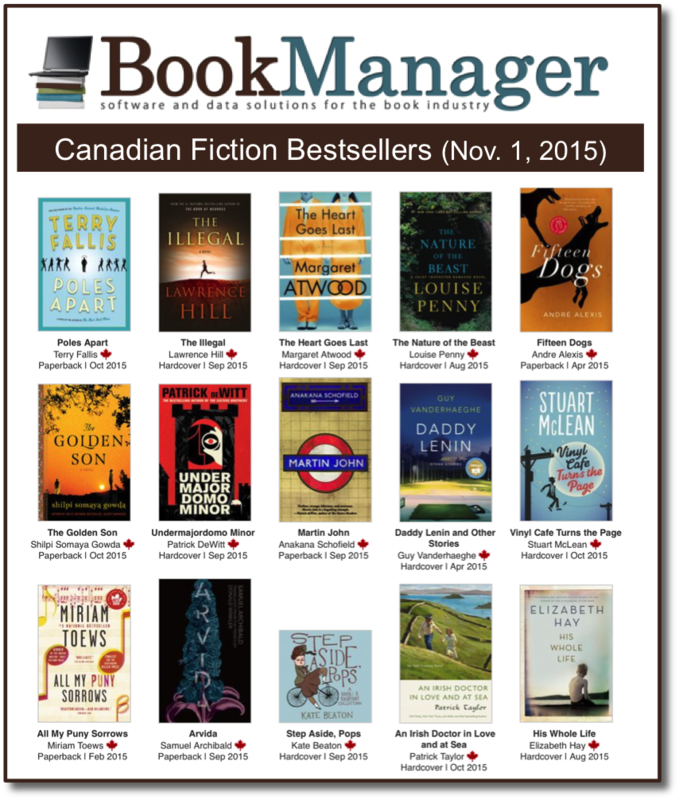 The source is the official bestsellers list of the Canadian Booksellers Association (part of the Retail Council of Canada). 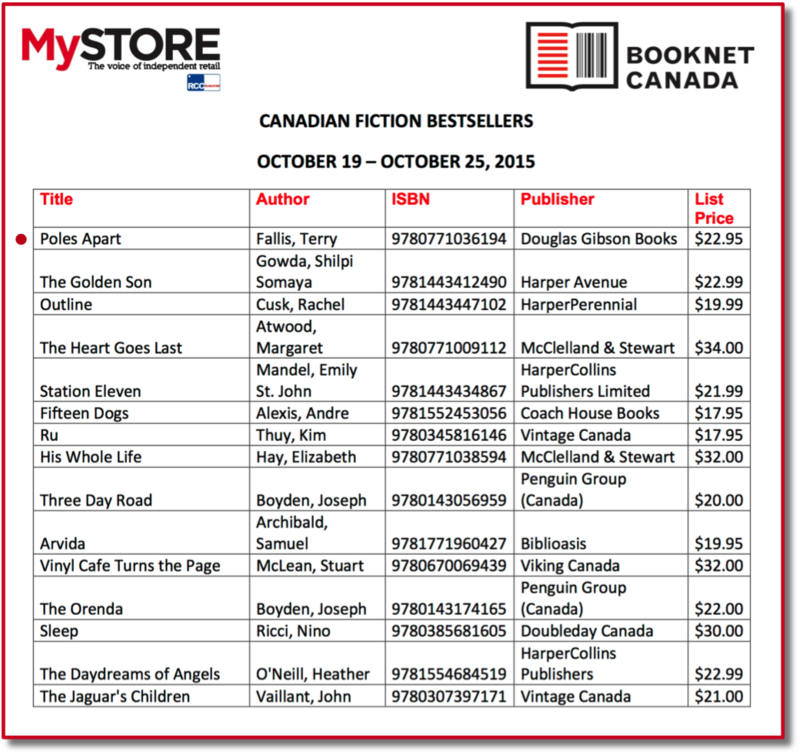 No Relation is number one in Paperback Fiction and in Canadian Fiction. Onwards! Say what? 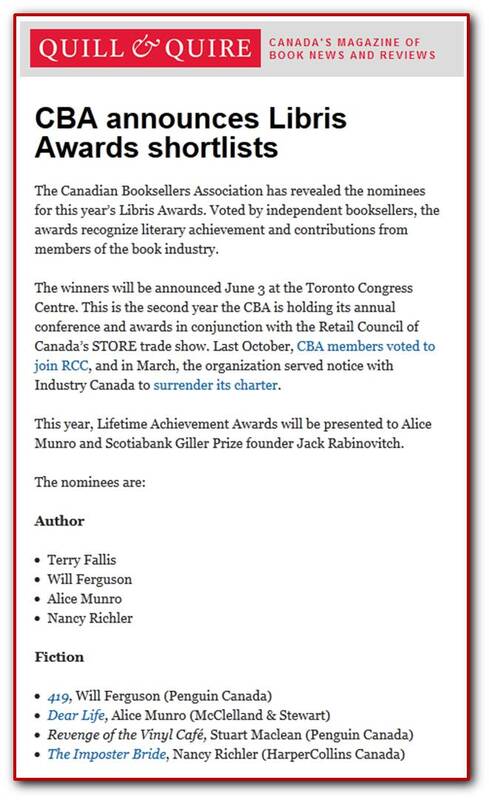 A CBA Author of the Year Finalist?